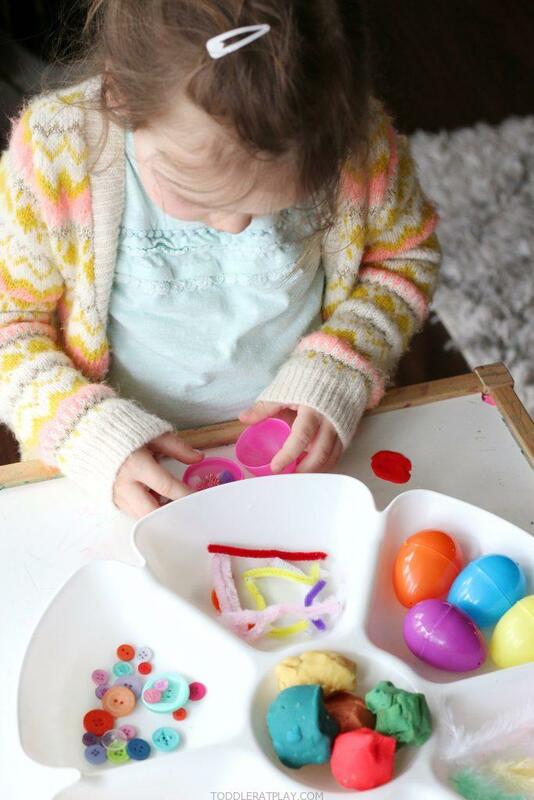 This Spring Play-dough Tray is super easy to prepare and your little one’s will love it! It’s quite simple too! 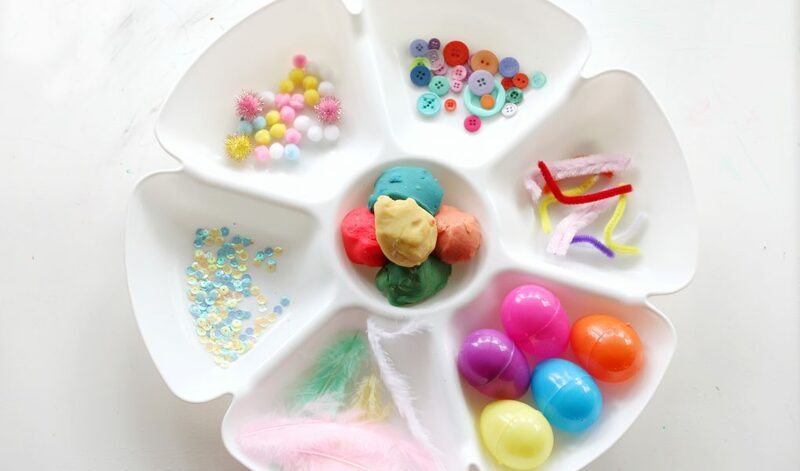 All you’ll need is some play-dough and a bunch of miscellaneous stickers, beads, sequins, flowers, etc. Anything you have on hand will work. 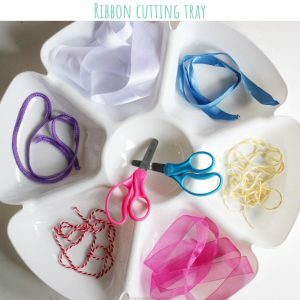 In fact, I’ve used leftovers of sequins and other odd items I’ve had from previous crafts and it worked well so this tray is very versatile, anything goes! 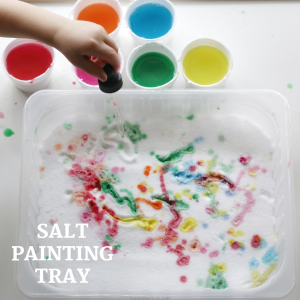 Kids will love to smush everything together, mixing up different add-ins with the play-dough creating some amazing fine motor and sensory play! 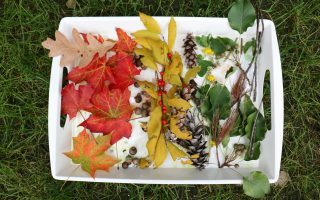 Also do I have to mention how awesome open-play activities, such as this tray, are for creativity and imagination? 🙂 They’re fabulous! 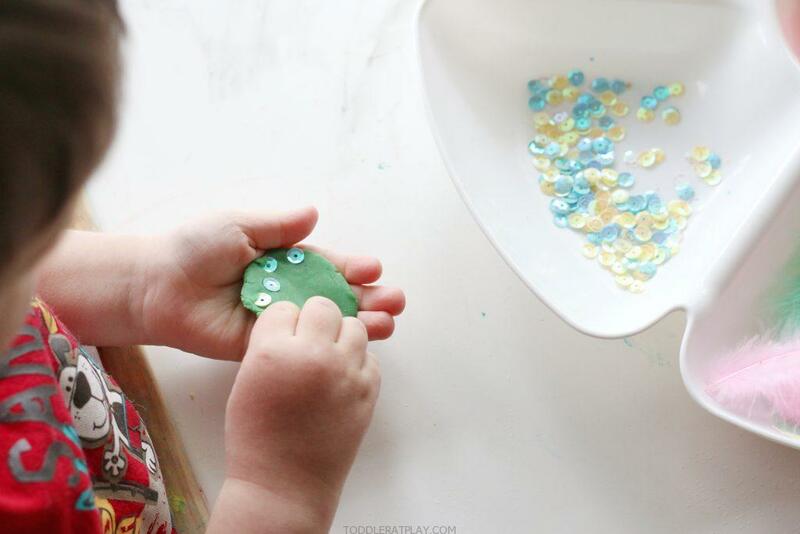 WATCH THIS TODDLER AT PLAY QUICK TUTORIAL FOR THIS FUN ACTIVITY! 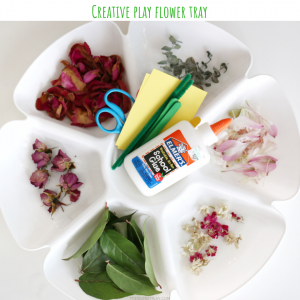 I love using a sectioned tray for activities like these because you can place everything in it’s own section and display everything available for the kiddos to use. 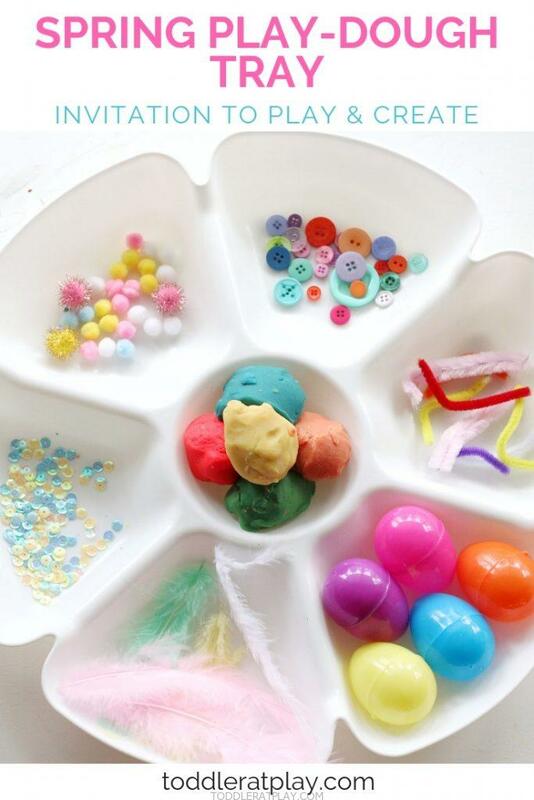 Place play-dough in the center and everything else around. 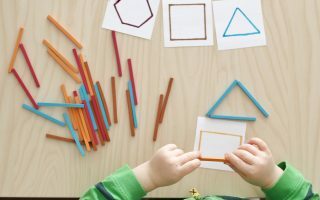 What is my child learning and improving?